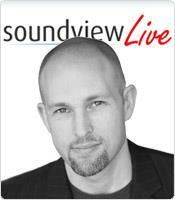 This Soundview Live webinar, The Essential Tools for Business Negotiation, features one of the entertainment industry's most beloved success stories, prominent transactional attorney and former child actor, Jeff B. Cohen, who created The Dealmaker's Ten Commandments to overcome resistance and achieve his goals without losing his soul along the way. Although developed in Hollywood, the real world tactics, strategies and guiding principles are vital for any business environment. A no-nonsense methodology for negotiating deals. How to manage your time and handle crises.